It's said comparison is the thief of joy. We're here to steal the joy from Tesla Model X fans. The 2019 Jaguar I-Pace is a better electric car, though the Tesla still has a superior charging infrastructure at its back. Both the I-Pace and Model X look like the future. In ads and marketing copy they're SUVs, but they're really conceived as the people-moving shuttles of the future. Tesla struck out on a different path here than it did with the minimalist, handsomely drawn Model S hatchback–and faltered. The 2018 Model X has an ungainly roofline and rear end that are the result of its top-hinged doors, a poor functional choice that also leaves it with an unbalanced shape. 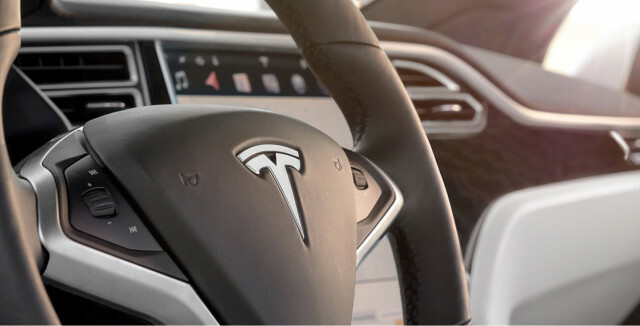 The Model X interior is compromised by age and lower quality, too. Aside from its bright vertical touchscreen, it's a stark, inexpensively trimmed workplace with all the upscale charm of an office cubicle. With the $70,495 I-Pace, Jaguar steps over its heritage for a long-hatchback shape that telegraphs its presence. It's swank and rakish, with a few cues to link it to other Jaguars-the grille, mostly. Muscular fenders, smart details that thin out its thick body, and LED lighting bridge the gap between it and Jaguar's gas-powered F-Pace. Inside, it's more like other Jaguars, and a marked notch or three above the Tesla. Handsomely stitched leather, swaths of wood, and altogether richer materials give the I-Pace a hands-down victory in styling. 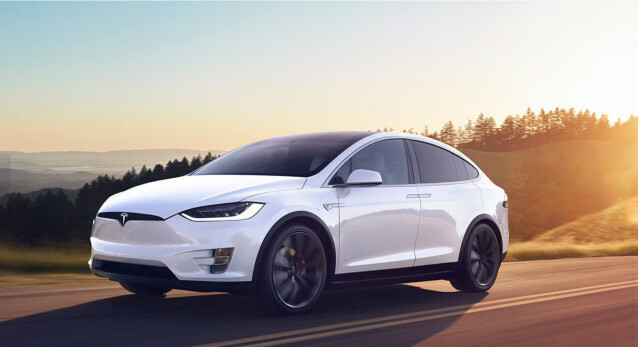 Performance measures pit the Model X 75D more directly against the I-Pace, which has a 90-kwh battery and identical electric motors front and rear to deliver 394 horsepower and 512 pound-feet of torque through torque-vectoring all-wheel drive. Jaguar promises a 0-60 mph time of 4.5 second, and a top speed of more than 120 mph. 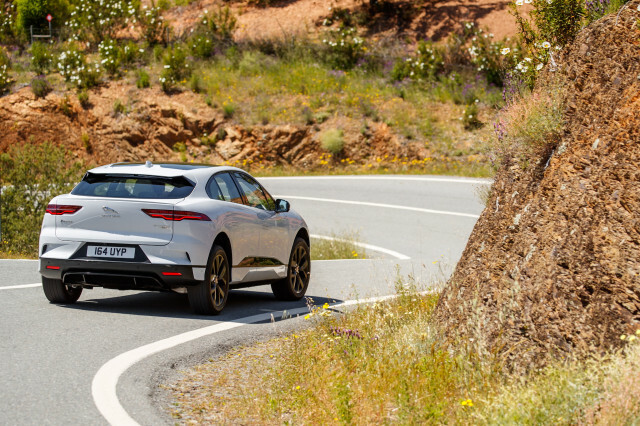 In the 4,784-pound I-Pace, the bounty of torque off the line gives the enthusiast rush that will convert a whole generation of gas-car shoppers to electric. It's a muscle-car thrill that's nearly replicated on tight roads, where the I-Pace's heft doesn't get in the way of a good time. It can slip through hairpins and even tramp down gravelly roads with aplomb. 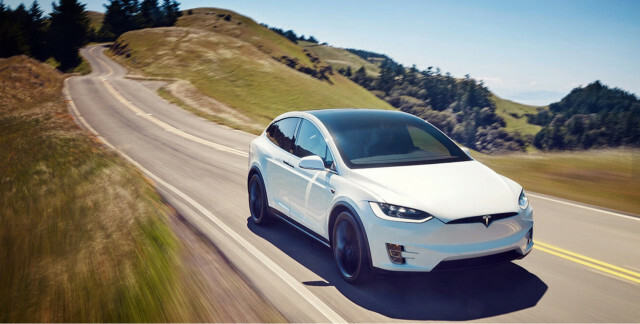 With the $82,800 Model X 75D, Tesla promises its 75-kwh battery back and twin electric motors can propel its crossover SUV to 60 mph in 4.9 seconds, to a top speed of 130 mph. Unlike Jaguar's battery pack, the Tesla pack can be upgraded to 100 kwh, which sends 0-60 mph times plummeting, but also sends the price soaring to more than $100,000. 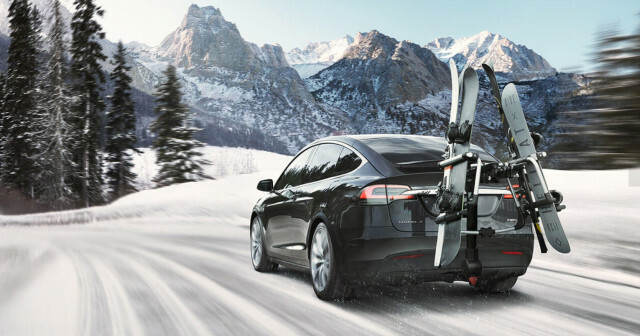 Like the I-Pace, the Model X can feel burdened by its heavy battery packs–welcome to the future of performance–but the Model X carries around at least 500 pounds more than the Jaguar, batteries and complex doors the culprit. It's easy to drive the Model X swiftly, but not particularly easy to thread it through tighter roads. 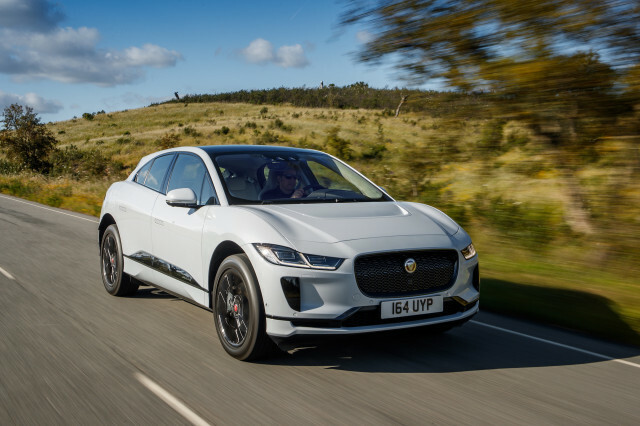 Both the I-Pace and the base Model X seat five passengers, but Jaguar has conventional doors that work well, and its rear seat is simply more comfortable for tall occupants. The Model X offers a somewhat usable third-row seat for small passengers, the I-Pace does not. Interior space compares favorably, with 80-plus cubic feet in the I-Pace, and 88 cubic feet in the Model X. Interior quality does not: the I-Paces we've driven feel like luxury cars, while the Model X leaves much to be desired in its materials, their fit, and their finishes. Both come with safety gear such as forward-collision warnings with automatic emergency braking, blind-spot monitors, and surround-view cameras. 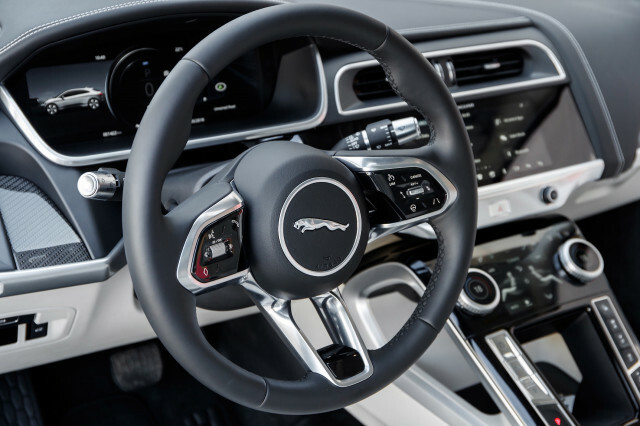 Tesla has had notable difficulty in managing the use of the Autopilot system that promises driver assistance in long-distance driving; Jaguar doesn't even talk about the adaptive safety systems in the I-Pace in terms of semi-autonomous driving. 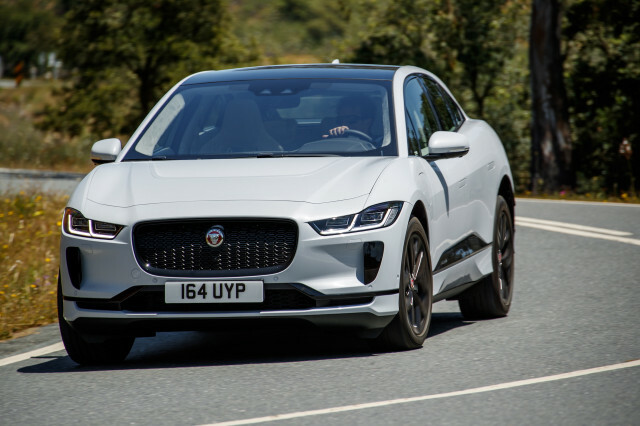 Other features, from leather upholstery to adaptive cruise control to high-end audio, hand an advantage to Jaguar, and so does the I-Pace's warranty of five years or 60,000 miles, with almost everything covered. Of course, what matters most to regular electric-car drivers is the convenience of charging. The two crossovers offer nearly identical quoted range: 240 miles for the I-Pace, 237 miles for the Model X 75D. Jaguar says on 100-kw quick charging, the I-Pace hits 80 percent of a full charge in 40 minutes. But Jaguar hasn't embarked on any charging network development at locations other than its own dealers. The I-Pace uses a CCS Combo fast-charge plug, so drivers will be able to use Electrify America's new network of fast charging stations once they become widespread several years from now. The Tesla Supercharger network is an enviable ally in long-distance electric-car trips. 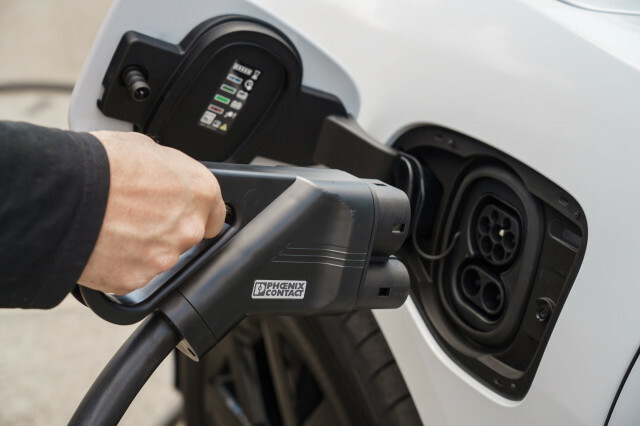 Tesla drivers can connect to a vast Supercharger network for high-speed charging, and can receive credit for free charging up to a certain amount of kilowatt-hours. We've stopped at Supercharger stations from southern California, to the middle of the Nevada desert, and wonder how far the I-Pace would make it, relying on paid networks with varying charge speeds. The Model X may see a ratings change for 2019, but gains in performance may be offset by losses in styling. We're also boosting the importance of battery powertrains, service and warranties, which will strongly tip the scales in favor of electric cars versus gas-powered cars. Under the new scale, it's still not clear the Model X will rate anywhere near the I-Pace. Its styling is inferior, and so is assembly quality. It's also more expensive. Supercharger network aside, the Model X is about to become outdated, and there's no indication Tesla can redesign it anytime soon. Other luxury brands are looming, but for now, Jaguar has a unique opportunity to strike back at Tesla. The 2019 I-Pace is long on brilliance, from its 240-mile-range battery, to standard all-wheel drive, to its vast and finely furnished cabin, to what might matter most to some electric-car sniffers: its prestige badge. The 2018 Tesla Model X is the only all-electric SUV you can buy this year. It’s swift, pleasant to travel in, and relatively practical, save for its somewhat silly doors. The 2018 Tesla Model X sacrifices a big, square shape for reduced aerodynamic drag; the result resembles an overinflated Model S.
The 2018 Tesla Model X combines excellent roadholding, a smooth quiet ride, and remarkable acceleration in a practical family crossover. 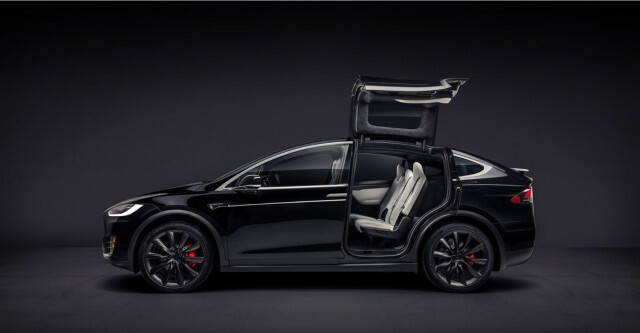 The 2018 Tesla Model X would have scored higher but for its falcon doors, a gimmicky idea that’s striking but has more drawbacks than advantages. The 2018 Tesla Model X gets excellent ratings from the NHTSA, and the Autopilot feature now demands drivers pay attention. The 2018 Tesla Model X is fairly well equipped, and offers a few unique features no other luxury vehicle can match. The all-electric 2018 Tesla Model X gets our highest rating for energy efficiency and environmental impact. The 2019 I-Pace has a 234-mile battery range. There are no Tesla dealers in our network that are located near the ZIP code. There are no Jaguar dealers in our network that are located near the ZIP code. We have sent your request for price quotes on the 2018 Tesla Model X and 2019 Jaguar I-Pace to the dealers you requested. They should be in touch shortly. Your request for a fast, free price quote on a 2018 Tesla Model X and 2019 Jaguar I-Pace is in process. The CarsDirect Dealer(s) listed below will contact you shortly to discuss your request and to provide a quote.